Support Red Kite Radio by purchasing your Music, Films, Videos and Electronics products from Amazon with the link. Each purchase you make gives a little bit to Red Kite Radio and costs you nothing. Thank You. A friendly ladies football team based in Chinnor, Oxfordshire. Currently playing in Thames Valley County Women's Football League Division One. Our local preserved steam railway running through the Chiltern Hills. Chinnor Silver Band is situated in the village of Chinnor in South Oxfordshire, & has its own band room in the village, located on Lower Road, where it practices on most Wednesday evenings. The band has been in existence for about 160 years (established c1850), and plays a wide range of music from traditional brass Band and classical pieces to modern rock and pop. The band provides entertainment throughout the year at fetes, garden parties, concerts etc, and has also performed on television and in advertisements. News and information about the lovely Buckinghamshire village of Dinton. Empty Room Promotions exists to bring high quality live music to the good people of Buckinghamshire, Oxfordshire and beyond. Empty Room Promotions was established in the summer of 2002 by Pearse Guina and Mike Trotman, two lifelong fans of live music who got tired of spending all their money going to other people's gigs and decided to start putting on their own. The rest is, as they say ‘History’ and with over 300 live events organised it’s still going strong. Forget Me Knot Café held every other Monday morning at the Chinnor Village Centre, High Street, Chinnor. This is a volunteer led group, providing information, peer support, and fun activities which are aimed to help with co-ordination, brain stimulation and general health and wellbeing, for people suffering with dementia, mental health issues, old age or isolation. Our group is all inclusive so everyone is welcome, please come along with your partner or carer we would love to meet you. Our forget me knot Café offers a friendly and supportive environment with enthusiastic and friendly volunteers who provide a welcoming refreshments and an opportunity for you to chat with others. We welcome different visiting experts every sessions, mainly around the theme of music, it may be singing for fun, our twice yearly very popular tea dance, music for health, drumming for fun. Don’t worry if you are in a wheelchair or have mobility problems you can still join in and our activities are aimed at being totally inclusive for all. A website serving the village of Haddenham in Buckinghamshire, UK. We are a vibrant community, and this website seeks to reflect all that's happening in our village. 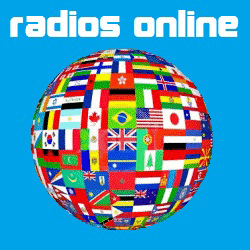 Find lots of other internet stations from all over the world, including Red Kite Radio. Musically Monstrous Promotions aim to support artists and audiences of old-time, bluegrass and American roots music by promoting low cost concerts with reasonably priced tickets. Most concerts will be held in the barn at The Three Horseshoes pub in Towersey. Doors open at 7:30pm. Artists on stage at 8:00pm. Finish before 10:30pm. Discover 30,711 free streaming internet radio stations. THAME.NET is a news-based website serving the beautiful market town of Thame. It is managed and edited by an independent journalist, Sonja Francis, formerly the local news reporter for the Thame Gazette, and a regular contributor to, what was, The Oxford Channel’s ‘What the Oxfordshire Papers Say’, with presenter, Matt McNamara. Once a member of Thame Tennis Club there are many benefits. These include free use of flood lights, no court booking required, discounts on club coaching and free social sessions each week.